How Impressive is LeBron James’ NBA Finals Streak? When LeBron James told the world he was coming home to once again play for the Cavaliers, he was desperate to bring the city of Cleveland a championship. But he also stressed patience. He understood the hard work, sacrifice, and focus required to reach the pinnacle of the National Basketball Association. Unlike his future teammates, James had been there before: “I’m going into a situation with a young team and a new coach. I will be the old head. But I get a thrill out of bringing a group together and helping them reach a place they didn’t know they could go.” And that’s exactly what he’s done with this latest playoff run. The Cleveland Cavaliers organization is heading back to the NBA Finals for the first time since 2007. But for the majority of this group, the upcoming matchup with the recently-crowned Western Conference champion Golden State Warriors will be its first foray into the season’s final showdown. Fortunately, should anyone on this team need any advice on what it’s like to play in the NBA Finals, they know exactly who to turn to. After all, this will be James’ fifth consecutive trip to the game’s biggest stage. In this day and age, it doesn’t seem possible that a player could reach that many NBA Finals in a row. But here’s the King, heading into the spotlight for the for a fifth year in a row, trying to capture the third ring of his career. We didn’t think he could do anything else to impress us further than he already has. Of course, perhaps we just forgot who we were talking about. With this latest accomplishment, James joins an exclusive club. 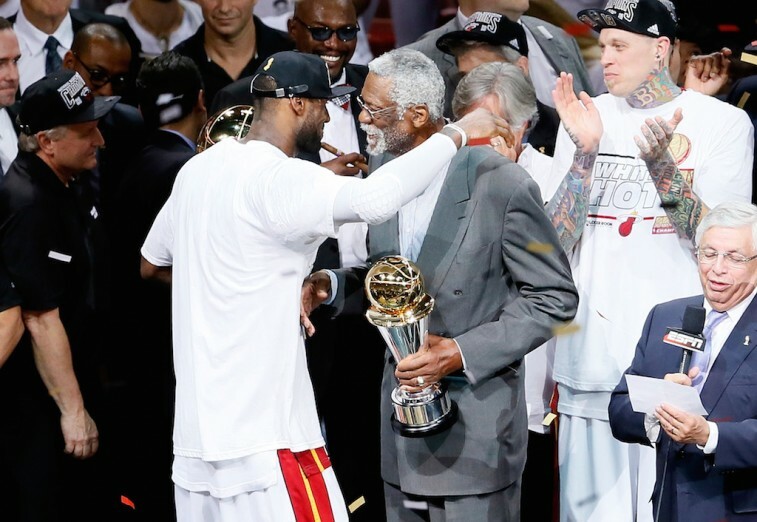 In the history of the NBA, only eight players — Bill Russell (10), K.C. Jones (8), Sam Jones (9), Bob Cousy (7), Tom Heinsohn (9), Bill Sharman (5), Frank Ramsey (8), Tom Sanders (6) — had ever played in five straight NBA Finals. With James crashing the party, this group has its first new member since 1966. But there is something else that distinguishes ‘Bron from this other crop. And it is something that cannot be overlooked. The previous eight members did go to at least five straight finals, but they were fortunate enough to be part of those sensational Boston Celtics teams of the 1950’s and 1960’s. James, obviously, didn’t have that luxury. Somehow, though, he’s managed to make it to five consecutive finals as a member of three separate teams. No one has ever done that. Not only that, James put up numbers in the Eastern Conference finals — 30.3 points, 11 rebounds, and 9.3 assists — that, according to Elias Sports Bureau, were totally unprecedented. And to do it with this team — for this city — makes it all the more impressive. In case you’d forgotten, it wasn’t that long ago that no one wanted to join the King in Cleveland. Said James back in October: “I just didn’t win nothing so nobody wanted to come with me. I recruited. I recruited Michael Redd. I recruited Joe Johnson. I recruited Chris Bosh. I recruited a lot of guys. I just didn’t win. They didn’t want to come to Cleveland.” It’s funny how things work out. James eventually had to leave, in order to be able to return and lead. And he’s better for it. This may be James’ fifth consecutive trip to the NBA Finals, but there’s something different about this most recent one. “It’s very emotional to get back in this setting,” said James. “I knew it wasn’t going to be easy. I knew it was going to take a lot of hard work and dedication. The toughest task for me was trying to get this team back to the Finals.” Now that he’s managed to do that, things are about to get even tougher. The Golden State Warriors will be the best team the Cavaliers have faced all postseason. They’re dominant on the offensive and defensive ends of the floors. They have MVP Stephen Curry and fellow Splash Brother Klay Thompson, who can light things up from the outside like no other. They are extremely deep and coached as well as any team in the NBA. But there is, in fact, one thing the best from the West in lacking: Experience. 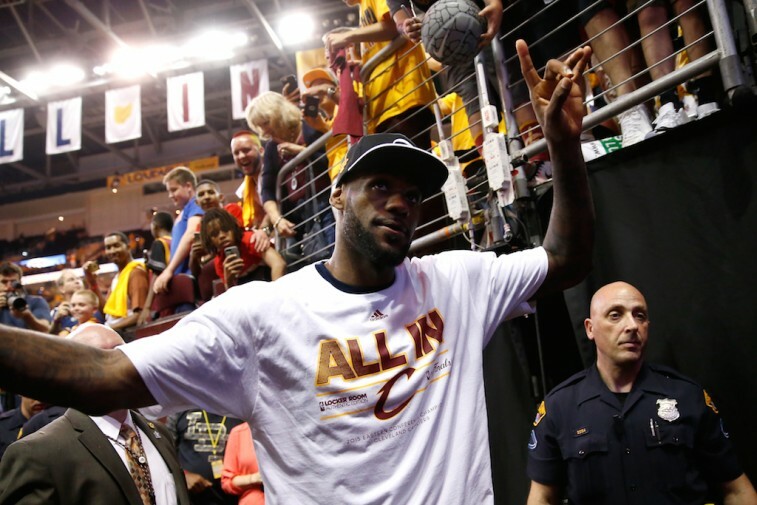 With James leading the charge, the Cavaliers have the ultimate tour guide to the NBA Finals. This group now has a chance to bring the city of Cleveland its first championship since 1951. We have no idea how things will turn out. But there is one thing we do know. 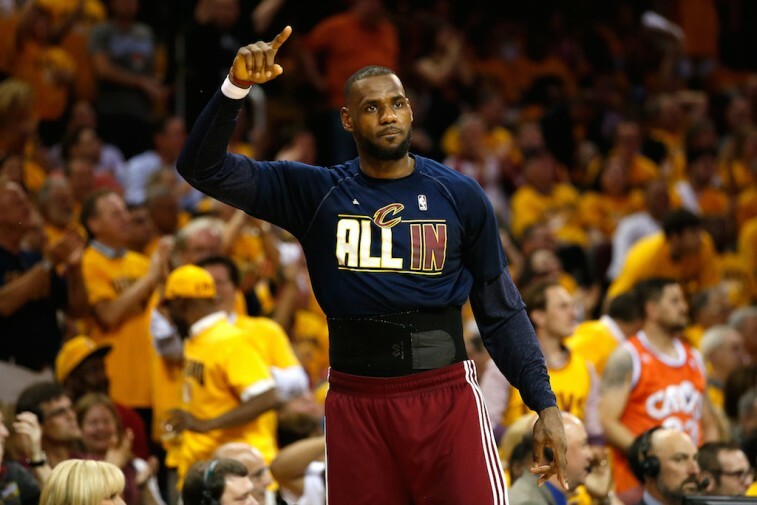 The Cleveland Cavaliers are “All In.” And that’s exactly what LeBron James was hoping for.